“I have to go. Get out of here for a while” I said. Pondering between South America and Asia, “Why don’t you go to the Maldives” she said. I needed to go somewhere to push the “reset” button. Why not! When I told people I was going to the Maldives, the responses were “Oh you are so lucky” or “Please take me with you”. From all i’ve heard and seen in pictures about the Maldives, I could understand their reaction. It was one of the most famous honeymoon spots in the world with white sandy beaches and crystal clear waters in the middle of the Indian ocean. I spoke to my mom about where to go on the morning of Christmas eve, I thought I was headed to Bangkok. Change of plans and ideas, I was on a flight to Male on Christmas day. It all happened so suddenly. I had no time to let it sink in, or plan my trip. I mean, I was headed to the other side of the planet, to an island in the middle of the Indian ocean, far away from anything i’ve ever known. As I touched down Male airport, I could see the crystal clear waters. I knew then and there that it was going to be awesome. After getting my bags and exiting customs, I headed for the information desk. And that’s where I met Hamid. Hamid was this short dude working in the information desk at the airport. I asked him about how to get to my hotel. After sorting all my concerns he asked me if I was here alone. I said yes. Then he said “Dude you are going to be so bored here”. You will see what I mean once you see the island, he said. As he wrote down some of the things i should get to do while im here, he asked me if I was Australian. I said, no i’m from New York. After chatting for a bit, he offered to show me around after work. I made a friend right then and there. The next few days I hung out with Hamid and his awesome group of fri ends. Some of the nicest, purest, coolest, most welcoming people i’ve ever met. We all even planned our next trip to India in June. They showed me all around the island, which is the smallest place ever. Imagine a place the size of Ridgewood or Maspeth, with nothing to do, nowhere to go, no one to see. THAT is Male. An extremist Islamic country in the middle of the Indian ocean. No alcohol allowed, therefore there are no bars, no clubs, very limited amount of cafes. The entire island took us 10 minutes to explore with a scooter going 20 mph. Hamid says he is lucky to have studied in India. Most people living in Maldives grew up here, never left, and live here for their entire lives. Imagine we are talking about a place 1/3 of Brooklyn. My friend Gapko, who has lived here his entire life says he is trying to get out. Nobody is happy here. Everyone does the same thing, in the same place, every single day, month after month, year after year. Within the first day I saw what my friend Hamid was talking about when he said I would be bored to death. If it hadn’t been for him and his buddies, i would have left a lot sooner. I met so many awesome people with pure hearts. People that are too good for this place. I told them to get out asap, while they are young. They told me stories of how pirates tried to take over the Maldives in 1988. How the garbage gets dumped by ships to other deserted island in the ocean. Stories of their limited lives with no room for dreams. How weed is the only thing that keeps them sane. Because honestly, it is like a prison. A prison in the middle of the Indian ocean. 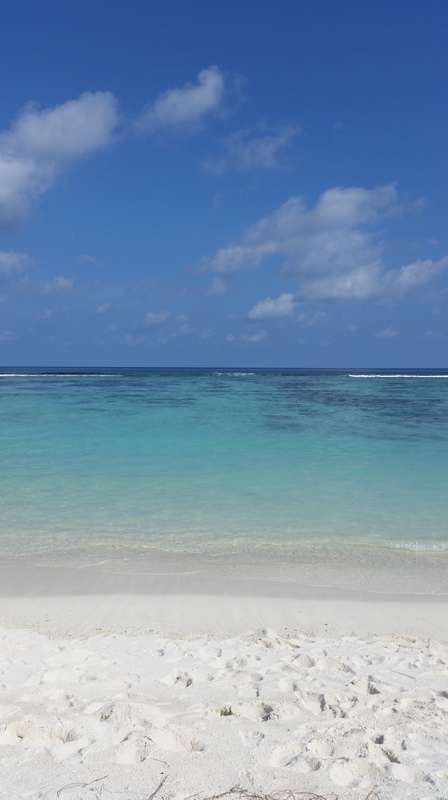 People often think of the Maldives as a beautiful vacation spot. Which it well could be. But nobody knows the real Maldives. I got to learn and see the real Maldives with local Maldivian people. How people live. What they eat. Where they sleep. The living conditions. Anybody can pay good money and stay at a resort. Snorkel, hang in the beach, swim with dolphins. But getting to know a culture, and interacting with the locals, seeing life from their angle. That’s what it’s all about. Even the 2 star hotel I stayed in was amongst the locals. I wo uld eat the spiciest foods ever, in a humble street side cafeteria. This was an absolute life changing experience. In so many ways. For one, I would never wanna go somewhere and stay in a fancy hotel and do touristic things. I wanna stay with the locals, go places nobody goes, explore, meet new people. I got to see once more how lucky we are in the west to be able to do the things we do. We are privileged in so many ways, yet we take it all for granted. As I sit here waiting for my flight back home to Istanbul, I am optimistic about the future and the new year that is upon us. I always knew what an incredibly lucky and blessed person I am, but this trip took that belief and knowledge to a whole new level. No matter where I go or what I do, I will never forget the people I met here. This trip taught me a lot. Like the fact that the balls of steel required to jump on a plane on my own, go halfway around the world without knowing a soul, and leaving there having made a family of friends. The feeling of having a complete different experience than anyone else that goes to the Maldives. I now have another story to tell my (never will be born) grandchildren. Cool,)))))) essory,May this year bring to you all 365 days of happiness and joy. Happy New Year.